It may seem like betting on greyhound racing is a bit of a lottery, with so much scope for things to go wrong as the dogs hurtle round the bends at breakneck speeds and regularly knock each other out of the way. 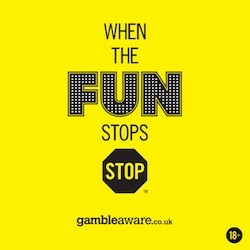 However, while there is always an element of risk in placing a bet on any sport, sticking to a few guidelines can help even the novice punter improve their chances of walking away with bulging pockets at the end of the night. While some people might prefer to select a dog on its name or what it looks like when parading, the more prudent among punters will always check out the animal’s form. Greyhound racing is graded and so a glance at the race card will show exactly how a greyhound performed last time out and if it is now in better company or has been dropped down a grade. So just because a dog won last time out does not necessarily mean it will double up, especially if it has been upped in class and be prepared for disappointment if following one particular dog over the course of a few weeks. Greyhounds tend to favour a particular trap and so it is also a good idea to check where your selection was housed last time if it won and ensure he/she is in the same box – otherwise it might be wise to look elsewhere. The track bias should also be noted as a few venues are known to favour certain boxes and this can be even more noticeable in wet weather. Standing water may have a huge effect and it can cause many unpredictable results during a meeting, while the state of the sand is also a factor. While a night at the greyhounds is always good fun and refreshments are readily available, it can pay dividends to keep a keen eye on the dogs as they parade before parting company with any hard-earned cash. If an animal appears excitable and high-spirited then it may be worth siding with as those often outperform the ones who seem to trudge reluctantly to the boxes without a care in the world. Prices are never huge in greyhound racing with only six participants per race and so betting on the forecast or tricast is popular, with decent pay-outs. But remember, it can be tough to pick just one winner so getting the first two or three home in the right order is like winning the lottery! Reverse forecasts and tricasts will not give you as much money back but do give punters a greater chance of a winning bet. Finally, it must be remembered that favourites do not always win, especially in the fast-paced world of greyhound racing, and a realistic approach to your betting is required. Punters who like to bet online will not enjoy the benefits of seeing the animals up close and personal before the lids fly open but can take advantage of these bookmaker bonuses before placing a wager.